I am still working on redecorating my laundry room after painting the walls from "Sawdust" yellow to "Dover White". This is the "before". Instead of hanging my vintage washboards all individually on the wall, I decided to attach them together to form one piece of wall art. The "legs" were all cut off to make the bottom edge flush, and mending braces were added to the back to join the washboards together at the sides. I really had to get past the idea that I was ruining the washboards, and think that I was up-cycling the washboards into a piece of laundry room wall art. After all I won't be using them, they are there for decoration. The piece is just so much more streamlined! 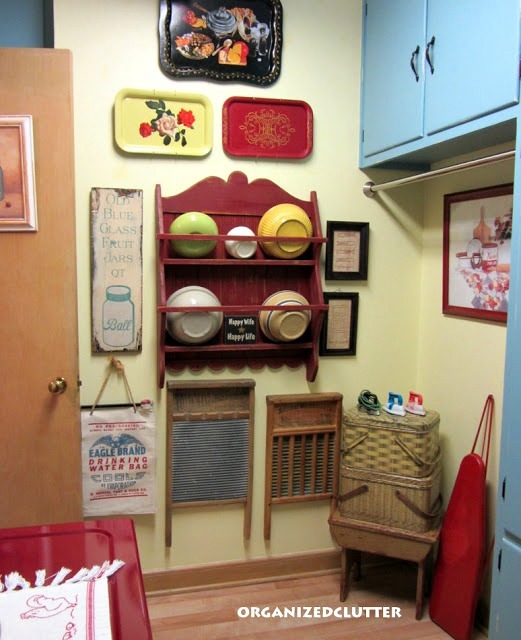 The red bowl shelf was was lightened up with Annie Sloan "old white" Chalk Paint. I may or may not add more to this wall! 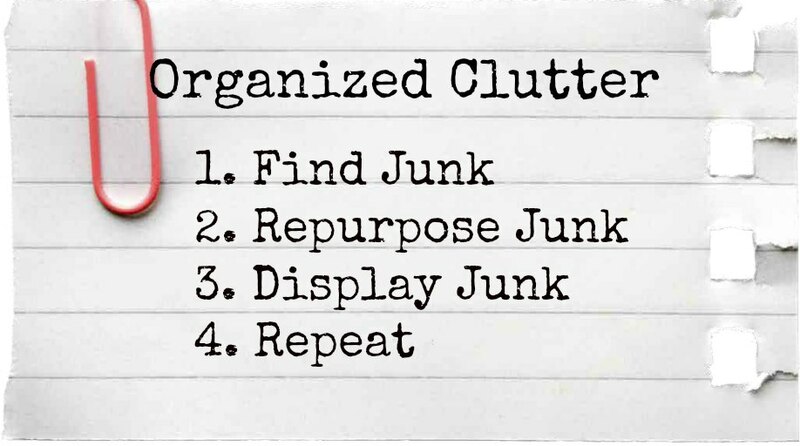 Trying to hold back, but this is an "Organized Clutter" blog! I will share a full reveal of the laundry room soon! You come up with things I could never even think of. Love your header! Like your new header. Love the washboards together. You always have unique fun ideas. Love the washboards put together!! Just awesome!! Looking good. I use old washboards in my laundry too. I just wouldn't have the heart to cut them up. Can't wait for your reveal. Love your creativity. I have washboards in my laundry room also! Your choice of paint colors are great. Have fun! It's a fun change Carlene!